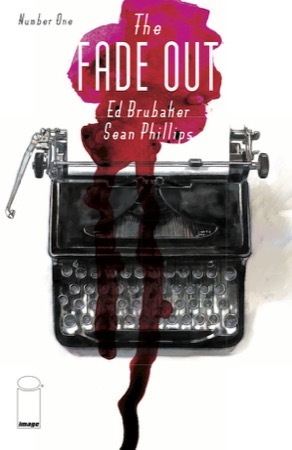 The best-known comic noir team returns with a new project, a series set in post-war Hollywood, full of the usual expectations: a beautiful dead blonde, cover-ups and secrets, and powerful bullies. Events are narrated by a writer who had too much to drink the night before, so he’s as confused as the reader to start. He doesn’t remember what happened, but as he gradually recalls — and reveals events to us — things turn darker and more convoluted. In between, there’s plenty of behind-the-scenes of the old-time movie biz. It’s lovely work, full of atmosphere transporting the reader to another time and place, one that’s a lot more deadly. The text article in the back provides, to set the mood, a brief history of Peg Entwistle, the young actress who killed herself by jumping off the Hollywood sign in 1932. I’ve seen the movie mentioned, Thirteen Women, and I’m surprised the author didn’t mention the other reason (beyond being Peg’s only film) the movie is known today — it stars a young Myrna Loy in horrible Asian makeup. I should like this series much more than I do, but it’s so boy-targeted, from all of its male characters to the fascination with the beautiful dead blonde. There’s no entry point for me.